20.04.2018: It’s almost done, the developers are in the last stages of programming. 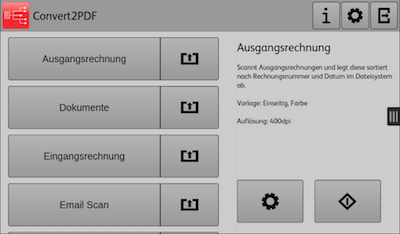 A little more fine-tuning, quality checks and a few trial runs, then it’s done: the Convert2PDF app for Xerox ConnectKey devices. Already at the beginning of this year, IT-SCom from Unna and e-dox AG from Leipzig entered into a strategic partnership. With the software solution Convert2PDF, IT-SCom is the market leader in Europe in the field of scanning and workflow solutions. The e-dox AG is founder of the project under whose roof apps are developed for Xerox partners within the framework of the XEROX PAB authorization (Personal Application Builder). With the Convert2PDF app, it will be possible in the future to use the full functionality and advantages of Convert2PDF directly from the Xerox device on every ConnectKey device from Xerox, i. E. To control workflows or document processes via a simple app user interface. A particular advantage arises when using the app with Xerox VersaLink systems. The Convert2PDF app, in conjunction with Convert2PDF, extends the VersaLink product line to include the often-missed workflow scanning, enabling the use of different scan profiles for different tasks or workflows. Users and administrators in the companies are significantly relieved. 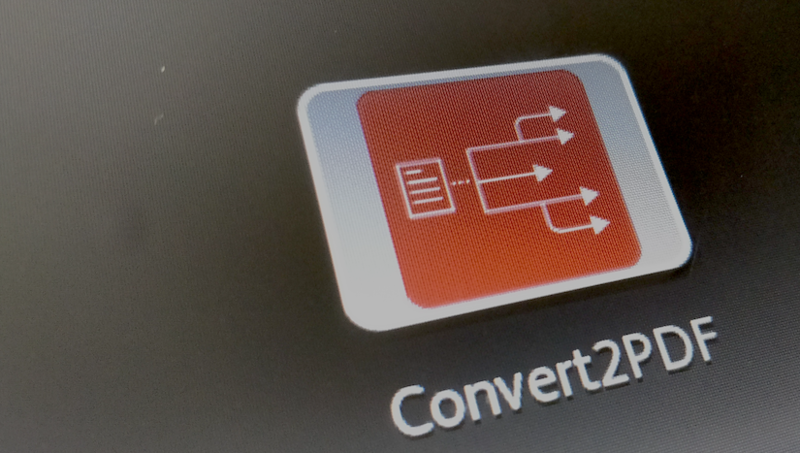 The Convert2PDF scanning and workflows can be easily managed and operated thanks to the app. Mistakes for wrong processes are eliminated in a comfortable way. Where can I get the Convert2PDF from? The software Convert2PDF as well as the app will give it over the usual supply ways, alternatively the Download is planned over the Xerox App Gallery. Customers who need the beta version in projects prior to launch can also request this directly on request from . When does the app come and what is the reference model? The launch of the Convert2PDF app is scheduled for May 2018. The app will be available as a subscription or subscription, of course, including software maintenance and upgrades, with scale prices depending on the number of devices or number of installations. Detailed information will be posted here and through Partner Extra mailings. Fill out the contact form below if you want to be informed. You do not want to miss and be informed about the launch? We are happy to let you know when the Convert2PDF App Solution for Xerox ConnectKey devices is launched and available for download in the Xerox App Finder. Simply fill out the following contact form and specify the subject / subject as Convert2PDF. You agree that we may send you news about the subject by e-mail. This entry was tagged Convert2PDF. Bookmark the permalink.